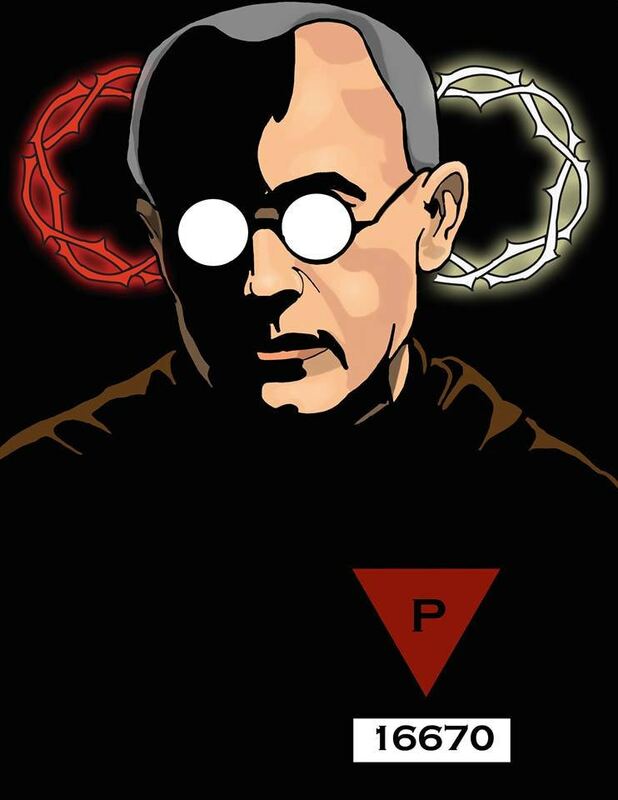 When he was a child St. Maximilian Kolbe had a vision of Our Lady who offered the the crown of martyrdom or the crown of purity he chose both. St. Maximilian was known for his intense devotion to the Blessed Mother, founding the Militia Immaculata. He is also well known for his envagelization work in print and on the radio. This brave Franciscan priest was a thorn in the side of the Nazis in Poland and died in Auschwitz when he took the place of a Jewish father chosen at random to be executed as an example to those who would try to escape. St. Maximilian pray for us! This beautiful print is suitable for hanging or framing. Perfect for your home, rectory, or parish meeting room!